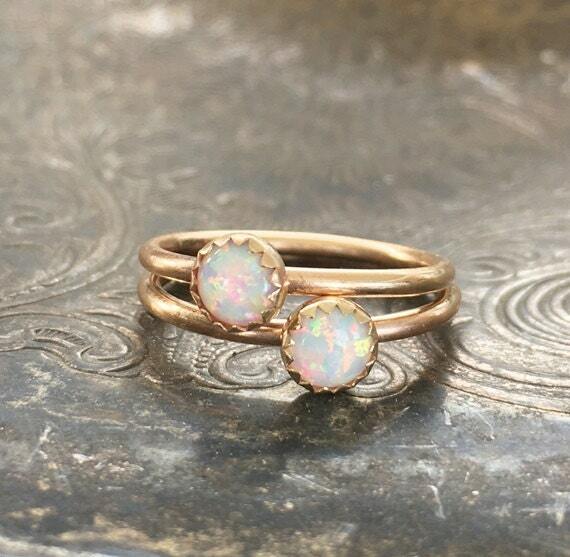 A dreamy little genuine opal sits on a bed of 14k solid gold and is lovingly hugged by a 14k gold filled band. Just darling, yet strong. 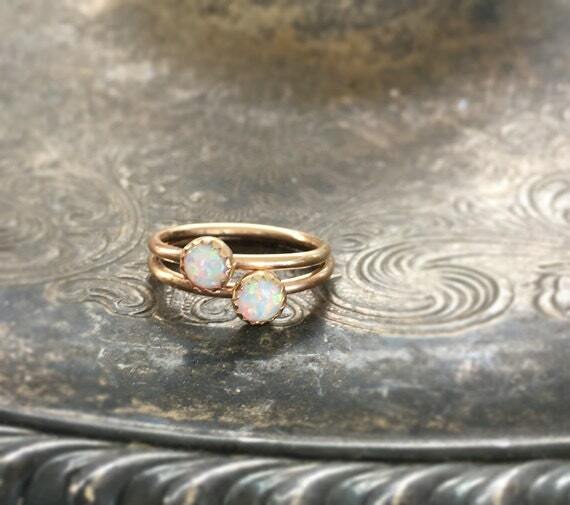 The opal measures about 5mm and the band width is 16 gauge. 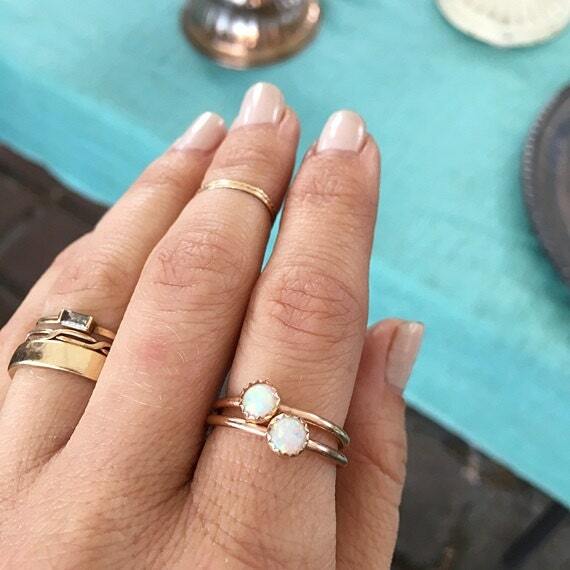 This listing is for ONE ring, but if you want more than one, you can choose your quantity at top right (drop box). Please allow 7-14 days for production. However if you need this item sooner, please convo me and I will accommodate.